We have an opportunity for a suitably qualified and experienced Industrial IT Professional to join the Information Technology and Automation Solutions (ITAS) Global team located at our Booragoon office. The Senior Software Project Lead is a specialist in the Information Technology and Automation Solutions (ITAS) Global team, leading the planning and execution of multiple projects to deliver, maintain and support software applications to help their customers improve workflow and decision making processes. This role will primarily be responsible for leading software projects and developing software solutions to support the Reliability and Maintenance groups from the Alumina business unit. 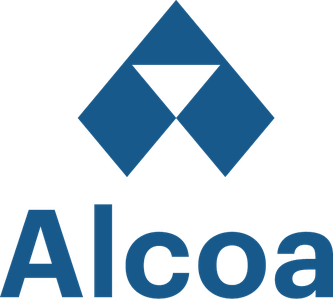 In addition, the Senior Software Project Lead will help Alcoa to embark in the journey of the “Refinery of the Future” digital transformation initiative, making the Alcoa core businesses stronger and our operations safer, cleaner and more efficient. You will be required to develop a deep understanding of the business processes and requirements of your global customers, combined with knowledge of Devops and Agile practices, plus User Experience design philosophies to deliver continued benefits to the company’s bottom line. Experience in Microsoft development platforms along with data query languages is required for this role. A working knowledge of IoT, Connected Worker, Cloud, Augmented RealityorVirtual Reality along with Honeywell PHD and OSIsoft PI historians and process data visualisation toolset would be considerable favourable. We are looking for an IT professional who holds a Bachelor’s Degree in Software Engineering, Computer Science or related IT qualification or has the equivalent experience in a similar role. The *Senior Software Project Lead* is a specialist in the Information Technology and Automation Solutions (ITAS) Global team, leading the planning and execution of multiple projects to deliver, maintain and support software applications to help their customers improve workflow and decision making processes.